Mr. Anil is an entrepreneur at heart, believer in dreams, is a go-to-market specialist and passionate about helping new startups succeed. At Jaarvis Accelerator, Anil works with startups to help them create an effective go-to-market strategy, get the revenue traction going and achieve what they need to get to next level of funding and growth. In 2001, Anil founded 24x7 Learning and led its growth in enterprise segment for over a decade to become India's largest e-learning implementation company. Besides angels, Anil successfully raised two rounds of investments including US$ 4 million from Network18, India's leading media conglomerate. After exiting in 2013, Anil setup Marco Polo Ventures, an innovative startup launcher, Go-to-Market Strategy and Execution consulting firm. 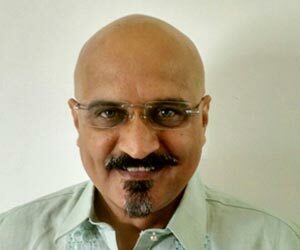 Prior to founding 24x7 Learning, Anil had successfully setup and launched businesses in India for two large multinational companies, Parametric Technology Corp, USA and Cimatron, Israel and held leadership positions in Patni Computers, Wipro and HCL-HP. Mr. Anil is a mechanical engineer by education and specializes in creating and implementing Go-to-Market strategies, demand creation, international partnerships, setting up distribution networks, B2B market development, product management, acquiring marquee customers for new products, business operations, strategy and highvalue solution selling.